We live in a complex world. We are all learning all the time. Maturity and wisdom are spread across the human population in a lumpy fashion. The children of a loving, respectful, and broadly caring family may be more mature than a much older person who grew up amidst familial or national dysfunction. Sometimes sensitive children escape abusive families and through hard experience learn maturity well beyond their years. Then there are all the people who learn functional toxic behaviour, whereby they are rewarded for behaving in a way that is harmful to other people, and therefore have no reason to seek personal growth. I could name any number of variations on people’s personal and social development, but you get the point. It’s hard to know where any one person is on their journey through life. Who I was as a child and who I am now are two very distinct people. I was raised by a conservative family. I now count myself as part of those who are typified by people such as Martin Luther King or Mohandas Gandhi. Universal peace and kindness are worthwhile goals. We should not have to be exceptional or born into exceptional circumstances in order to experience love and security. Under these circumstances we must all extend to one another a certain amount of tolerance. We need to learn how to close our eyes to simple annoying behaviour. Upon occasion we need to take it upon ourselves to help others to learn and to grow. Many times we have to trust that with experience maturity will come. Other times we may recognise that people have a right to their opinion, but we need to gather together to stop the deleterious effects those opinions can have on the well-being of our society as a whole. Finally come those times when actions are outright harmful and someone’s behaviour cannot be tolerated…but done while still recognising their humanity and the circumstances that created their maladjustment. In all of this we need to learn the capacity for forgiveness. Forgiveness is the lubricant that gives a wrongdoer the opportunity to grow and the person wronged a chance to be released from the emotional burden of harm. Forgiveness makes possible reconciliation and the opportunity to heal, not just the lives of single persons, but of whole communities. Nevertheless, forgiveness cannot be relied upon without being partnered with a will to justice. Forgive with ease when you have not been wronged. Upon occasion we can become offended when offense should not have been taken. Pride makes it hard to admit that we are mistaken and that we are the ones who should make apology. Forgive with ease when the other person acted out of inexperience, accident, or non-malicious ignorance. Cultural misunderstandings fit under this category. The trick is to recognise no real harm was intended and no real harm was done. Where this gets tangled is when you have people who are behaving in a passive aggressive manner and are giving themselves plausible deniability. Under these circumstances I would still expect an apology. The nature of the apology will often make clear how genuine a person’s intent is. Neither apology nor forgiveness are ways to avoid controversy. Forgiveness is not acquiesence to wrongdoing, nor is it the releasing of a person from their responsibilities for doing wrong. When someone makes an apology, there is a big difference between remorse and mollification. One seeks growth and reconciliation, the other seeks to manipulate in order to avoid responsibility for consequences and making change. 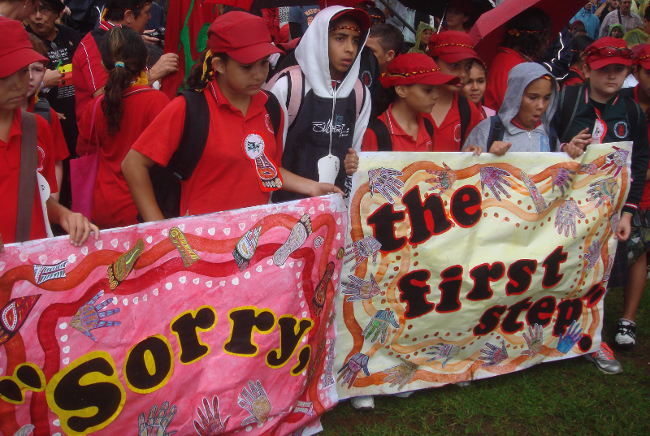 Using “sorry” as a way to simply pacify another is ultimately destructive of social cohesion. Forgiveness is forced, emotions suppressed, and ultimately no reconciliation is genuinely won. Because issues are not resolved, they will continue to bubble beneath the surface until they reach a dangerous boiling point. If a person intentionally harmed us as a form of vengeance, then it may be worth thinking about our part in the dynamic. Their punishment of us may not fit the crime. This is why we have courts and do not rely on mob justice. However, to find release we must own our actions, make our apologies, then forgive the other person while still seeking just reparation or means by which the person will not continue to harm others. Forgiveness keeps the bullied from becoming the bully. It keeps us from the felt need for our own vengeance. Not one of us is a bad person for wanting to hurt someone who has hurt us. It is completely understandable. Just don’t do it. At its least harmful this urge is about a desire for empathy. We want the other person to understand the suffering they have caused by experiencing it themselves, then perhaps they would feel remorse and halt painful behaviour. Sadly, not everyone is capable of that sort of empathy. If that is the case, then they need help and they need to be kept from harming others. Find enough kindness to recognise this. You will feel better and behave better than they did. Other cases of vengeance seeking are more destructive. Sometimes we want to harm a wrongdoer in order to dominate them, and thereby enforce them to behave in a manner that keeps us from harm. Sometimes we want to obliterate a wrongdoer, so that they no longer exist to do harm. No one learns in these situations. We do not create a society where we can feel safer around one another. We create a society whereby we keep walling people off and as their numbers grow, give ourselves even greater reason to be afraid. The whole point of restorative justice is to move past a prison society where we are all ultimately locked up in some form. We understand that someone has taken a wrong turning in their life. Their circumstances may have made that turning completely valid, if unacceptable to a functioning society. We need to address those circumstances and recognise where we too have done wrong. If they understand the problematic nature of their behaviour and are willing to make change, how much safer is it to rehabilitate people and bring them back into our fold than to create a community of the damaged and desperate. If the harm was wholly uncalled for, then we will need to recognise its non-personal nature in order to reclaim ourselves. Forgiveness keeps us from running circumstances through our heads over and over again. It makes it possible for us to feel safe, because we aren’t constantly scaring ourselves in order to be ready should someone try to harm us again. When we carry unforgiveness it is all too easy to create psychodramas around ourselves in order to relieve the anxiety. The subconscious thinking is that if I can defend myself or even get some of my own back in these situations, then I must be safe. This will never work. Part of the problem is that we haven’t even forgiven ourselves for being vulnerable. Expect an expression of understanding that you have been hurt and how they caused that hurt. Expect offers of a change in behaviour and possibly recompense. Expect actual change of behaviour. Understand the value of this process. Be prepared to do the same for others. An apology is not genuine if it ducks responsibility or blames the victim. You are in real trouble if the person who has caused harm insists you apologise to them for making them feel badly. I’m sorry that you felt hurt (nothing is being said about what the person apologising did that was harmful, it’s all on the victim). I wasn’t trying to be mean (the intent is of little consequence at this point, the apologiser must own the damage). Sorry, I was just joking (the victim is still being made responsible for not taking a painful joke). I am sorry that I hurt you (then explain how you hurt them). I am sorry, I should have been more sensitive (say more sensitive about what). I am sorry, the joke was inappropriate and at your expense (express your recognition that we are all human and all deserving of equal respect). Decide whether it is likely to happen again. Decide whether speaking to the person would create change. Decide if having an intermediary would create change. Determine if the problem is bigger than this one person: does it come from the values held by this person’s family, friends, or community. Do they perhaps have a mental pathology (consider this with care). Decide if it is worth engaging some form of authority to recover damages, protect yourself, protect others. Decide whether it is worth maintaining a relationship. It’s good when associations can be repaired. Regardless of age, familial connection, or position in society, people from all walks in life can prove toxic and it is completely legitimate to let go of connection with someone doing you harm. Write what you want to say and do down, so you don’t feel the need to run it through your head over and over again. Forgive yourself for being harmed. See beyond the harm to positive things you are on the way to that are more important. Decide when you are ready to forgive. You need your own time to heal. This is not up to the other person. Forgiveness can be a recognition of humanity, a willingness to grow together, a healing of connection. When no apology is forthcoming, forgiveness is the means by which we can release ourselves from an invisible but toxic bond with another. Humanity numbers over seven billion. Our living world is in danger. We must seek the maturity that comes with humility, learning better how to get along with one another. With these skills we will be able to cooperate and create a future worth living in.